In an exclusive chat with indiatvnews.com, the former India international remembered the memories of that day with fondness. Chetan Sharma remains the only Indian to take a hat-trick in a World Cup. 31st October 1987. 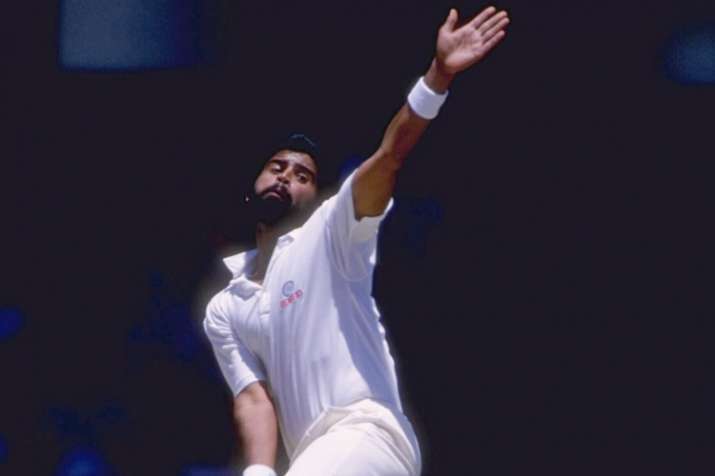 31 years ago on this day, former India fast bowler Chetan Sharma became the first player to take a hat-trick in a World Cup along with being the only Indian to take a hattrick in ODIs at that time. Since then Kapil Dev (1991) and Kuldeep Yadav (2017) have managed to join Sharma on the exclusive list but the Ludhiana star still remains the only Indian to have taken a World Cup hat-trick. Against New Zealand in their last pool game at the 1987 World Cup in Nagpur, Sharma removed Ken Rutherford, Ian Smith and Ewen Chatfield off successive deliveries to lead his team to a famous win. In an exclusive chat with indiatvnews.com, the former India international remembered the memories of that day with fondness and revealed that before taking the third wicket he and his teammates knew that the Kiwi batsman Chatfield was scared which boosted Sharma's confidence. "Basically, Kapil Dev Paaji told me to bowl at the wickets because such occasions are rare in a player's life. As we had seen that Chatfield had arrived wearing a helmet on a wicket where the ball wasn't rising above knee height. So we knew that he was nervous especially about the bouncer. So Paaji asked me to aim at the stumps so as to create lbw or bowled chances. I followed his advice and bowled Chatfield through his lame defence; the rest is history," Sharma told indiatvnews.com over the telephone.